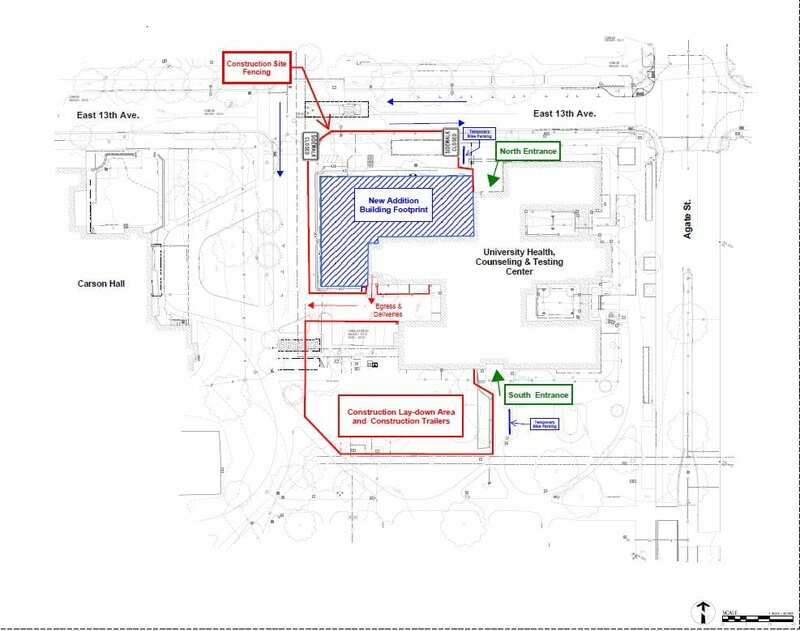 Beginning Monday, August 13, 2018, construction mobilization activities will begin for the University Health, Counseling, and Testing Center Expansion and Renovation Project. 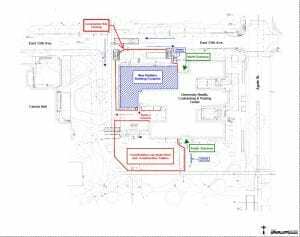 Please review the attached site plan showing the construction fencing, construction storage area, and the building footprint for the new addition. The Construction Team will mobilize on-site and begin installing site fencing, locating underground utilities, placing of construction/ storage trailers, and other activities to support upcoming construction. We will provide periodic construction updates with more details and updated schedule information as we get closer to major construction activities. If you have any questions or concerns, please contact Design & Construction Owner’s Representative Patrick Mucker at 346-8216.